Natasha Ramsay-Levi's collections for Parisian It-girl brand Chloé are never short of pieces that catch like wildfire. I remember the first time I saw the burnt orange, pony-print suit featured in her debut collection for the brand. It was love at first sight (even if my budget would never stretch to it). Often, the pieces that become most prevalent—in Paris and beyond—are her pitch-perfect accessories. It's safe to say Chloé's Rylee boots reached cult status earlier this year, and what has ensued can only be described as a cutout-boot frenzy. Seen on pretty much every editor, influencer and model over fashion month, this boot style is bound to stick around. From suede to snake print, the high-street is hitting this trend hard and giving us countless options to choose from. We recently studied the virtual shopping baskets of French girls and discovered they were snapping up two different black versions from two lesser-known affordable brands. Wear them to toughen up any dress or skirt or with jeans or cropped trousers. Keep scrolling for our favourite cutout boots at every price point. Style Notes: A cutout boot looks great paired back with animal print. The hair clips finish off the look. Style Notes: Pair a variety of earthy tones together with checks for the perfect heritage update. Style Notes: A midi skirt is the ultimate must-have for your winter wardrobe. We love how these boots toughen up this flowy skirt shape. Style Notes: Pair boots back with an asymmetric dress for a more flattering silhouette. We love the extra added layer here. Style Notes: It's all about long layers for winter. The key styling trick is to make sure to still see some skin. Style Notes: Combat boots paired with a flirty dress create the perfect contrast. Keep scrolling to shop editor-approved cutout boots. We love the Rylee boots in velvet. These would look great paired with earthy tones. This simple style goes with everything. In case you're up for trying something a bit edgier. Another cool style for good measure. These block-heeled boots are bound to be comfy. 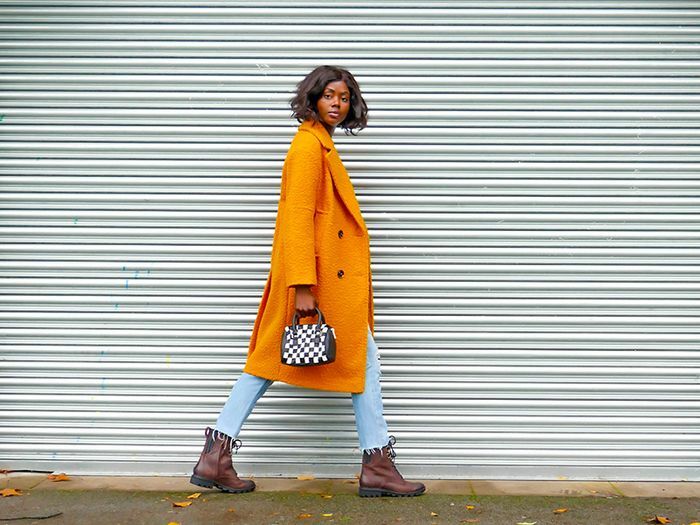 These are the perfect autumn boots. You can wear these for seasons on end. The mock croc is everything we want for fall. For a flirty take on this classic. Now here are 39 more French fashion brands you need to know about.